Suttner ST1500 wash gun complete with 500mm lance and 045 , 15 deg. nozzle. 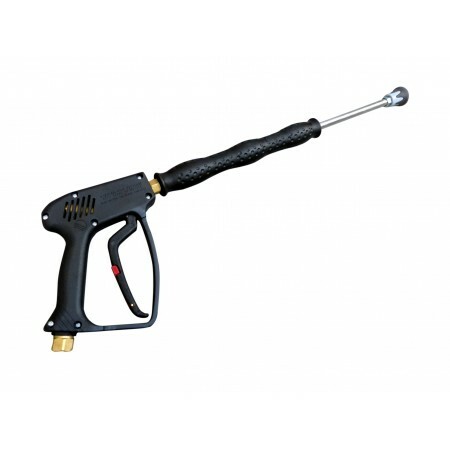 ST1500 wash gun : 45 lpm, 275 bar, 150 deg, C max. temp., 3/8"F inlet. 500mm lance : 400 bar, zinc plated, 150 deg. C max. temp, Vented grip allows heat to dissipate providing a cooler handle.